How do you redeem Avios on Aer Lingus? In one of her tougher Head for Points assignments, Anika spent a few days in Boston recently as the guest of Aer Lingus. With the bankruptcy of airberlin, Aer Lingus is now the clear choice if you want to redeem Avios points for long-haul business class tickets to North America without paying a fortune in taxes. 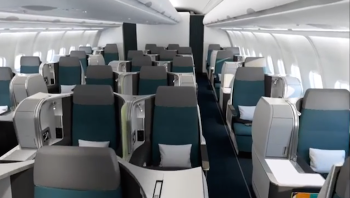 The even better news is that Aer Lingus has an excellent business class seat which is now available on all of its aircraft. It offers, in probably every respect, a better experience than British Airways Club World. It is ironic that IAG, which owns BA and Aer Lingus, is actually trying to position Aer Lingus as a lower cost option from Europe to North America when it actually has the superior product. Aer Lingus gave us a return business class ticket free of charge. As per usual HFP policy, we paid all of our other expenses, except for the hotel in Boston which Hilton gave us in return for a review. Where does Aer Lingus fly long haul? The Aer Lingus long haul network has expanded sharply in the last couple of years as new aircraft have been delivered. They fly almost exclusively to the US – Toronto is the exception – to benefit from the US customs and immigration facilities in Dublin and Shannon. What this means is that Aer Lingus services land in the US on domestic gates. If you have no checked baggage, you will be in a taxi within minutes of touching down. If you live outside London, changing planes in Dublin on the way to the US is no more difficult – and probably smoother – than changing in Heathrow. Even if you live in the South East, the trade off between changing planes in Dublin but avoiding the queue for US immigration on arrival means that Aer Lingus is still a serious option. For Avios redemptions, the incentive of a huge taxes and charges saving is also a big incentive! As a bit of background before we start the reviews, I wanted to briefly run though how you can redeem Avios for Aer Lingus services. This changed in December 2016, when Aer Lingus reward availability was loaded into avios.com. At the same time, Aer Lingus introduced peak and off-peak pricing. The list of peak dates does NOT match the British Airways list of peak dates. You can see the Aer Lingus 2018 peak and off-peak calendar here (the BA and Iberia calendars are here). Option 1 is to use avios.com. You can book online and you get the widest choice of dates. You will pay around £200 in taxes and charges for a long-haul flight from Dublin to North America. Remember that these taxes figures assume you start your trip from Dublin. If you add in a connection from the UK on the same ticket then you will be hit for long-haul Air Passenger Duty of over £100. 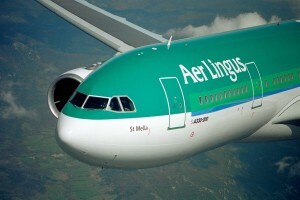 You will probably want to buy or redeem for a separate connecting ticket to Dublin although you should try to stick with Aer Lingus as they will be more inclined to help if your inbound flight is delayed. But what is it like flying Aer Lingus? Glad you asked. Keep an eye on HFP over the next few days! What is the best replacement for the UK American Airlines AAdvantage credit card? Can you redeem Airlingus flights with AA miles? And what about if you have IB+ avios? Transferring to BA is a way but I haven’t seen availability searching in IB… Thanks!! No and No, because Aer Lingus is not in oneworld. You’d need to move your Avios into avios.com or ba.com to book. Got it. Thanks for the info (and prompt response!). Cheers! Aer Lingus, like BA, is 13k one way in economy off peak from US East Coast, or 17k one way from US West Coast. However unlike BA, if you book via BAEC, you can get the Aer Lingus redemption for maybe £30 in taxes from LAX-DUB. This is one of the few cases where an economy redemption is seriously good value, especially at short notice or if you only need a one way. To put it another way, you can fly from LAX-DUB for only 4.5k more in avios and £30ish more in taxes than it costs to fly with Avios from LAX to New York on American Airlines. I’ve just found and read Rob’s article re. rules for using 2 for 1 voucher on open jaw bookings. I just want to check I haven’t misunderstood…. flying out LHR to DXB but flying back HKG to LHR would not be permissible because the distance between DXB & HKG is greater than LHR to DXB? The overland cannot be greater than any of the flights in terms of distance. Correct, a well known example of this is doing London-Tokyo and then San Francisco-London on 2-4-1 as an open jaw. Only way to cross the Pacific using a 241? Can you use a 2-4-1 voucher on Aer Lingus? Just being pedantic here, but technically speaking option 2 isn’t to use ba.com, because that wouldn’t work, but to use the BAEC…. incidentally did you know you cannot log into your Avios and BAEC at the same time? Wizz apparently have the second lowest cost base (and accordingly, the second highest margins) amongst European low costs after Ryanair. So it’s well positioned to take market share – but has so far focused on underdeveloped Eastern Euro markets. It is also applying for a UK AOC (although this is Brexit related). The flag carriers and easyjet should be worried. Owner used to be primarily my wife’s employer until the IPO recently – knowing that lot, they will almost certainly have cashed out a low IPO price just to see the price shoot up and the airline get taken over. BA short haul then AA along haul to get Main Cabin Extra free as BA Gold. Will I pre-clear customs in DUB? This may offer better value than using a 2-4-1 and having to go from MAN to LHR and pay massive surcharges. I still can’t find the way to move the avois from my aer account to avios.com account or ba account. I booked a return from DUB to JFK in business the other day and the cost was £105.80, plus 100k Avios. This was done on the phone. It took a day or so to be ticketed, but once it was I was able to ring the Silver line again and they booked my seats for free.